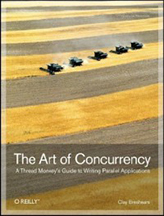 My personal favourite introductory book for programming with concurrency in C is “The Art of Concurrency: A Thread Monkey’s Guide to Writing Parallel Applications.” Several of the reasons I like this book is that it focuses on the parallelization of sequential algorithms, it includes a set of rules for the design of multithreaded applications and it even discusses how to analyze concurrent code (both for correctness and performance). 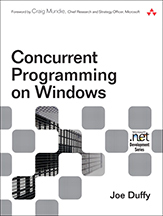 Joe Duffy’s book “Concurrent Programming on Windows” introduces the reader to programming with concurrency using the .NET Concurrency APIs. The book contains plenty of C# examples and is a good book if you mainly want to write concurrent code for Windows using .NET. 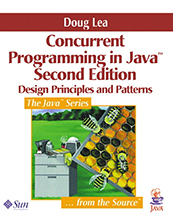 I have browsed this book but I have not worked with a lot of the examples since I develop mainly in Linux. Multicore CPU programming involves many different instructions being executed simultaneously. GPU programming involves a single instruction being applied simultaneously to multiple data elements (SIMD). 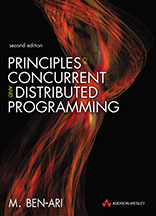 I would have included the book “Fundamentals of Multicore Software Development” in the introductory books above if it only contained the first two sections – (1) Basics of Parallel Programming and (2) Programming Languages for Multicore. 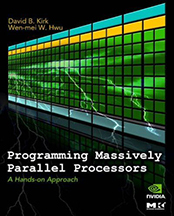 However, this book also contains a section on heterogeneous computing (CPU + GPU) and a section on emerging technologies. 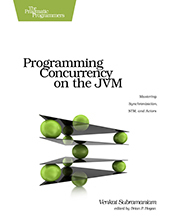 I should mention that this book is a collection of chapters written by different authors. 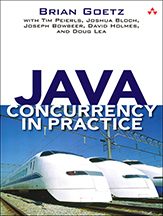 This entry was posted in book reviews, concurrency, education and tagged C/C++, C#, concurrency, CUDA, GPU, Heterogeneous Computing, Java, multicore, software engineering by bradbury. Bookmark the permalink.